There was once a time when a car wasn’t considered a true performance car unless it had a clutch pedal and manual transmission. This gave the driver ultimate control, choosing which gear the vehicle would be in and precisely when to shift, or when not to shift. It was a time when a person’s car was an extension of themselves and their personality, An extension of the passion and the enjoyment of the driving experience. Over the past 10 years, automakers have had to continue to chase the increasing government-mandated requirements in fuel economy by advancing the technology in entire vehicle, including the transmissions. Paired with the fact that a growing number of Americans would prefer that vehicles be able to drive themselves, let alone do their own shifting, sales of manual-transmission–equipped vehicles dropped to less than 4 percent in 2016. Admittedly, the performance of modern automatic transmissions and dual-clutch transmissions eroded the gap in ultimate performance between cars equipped with manual transmissions and an automatic. The Chevrolet Corvette and Camaro and Ford Mustang were becoming the last refuge for manual transmissions, since even iconic performance brands such as Ferrari, Lamborghini and Porsche had begun phasing out the stickshift. With electronic controls so advanced that shifts could happen in a fraction of a second, and without the need to depress the third pedal—previously a badge of honor for sports cars—having a manual transmission seemed pointless to many drivers. The performance crew at Ford began noticing an awakening and took a risk: It offered its popular performance cars with a manual-transmission option. And something interesting happened: Buyers chose that setup in increasing numbers. 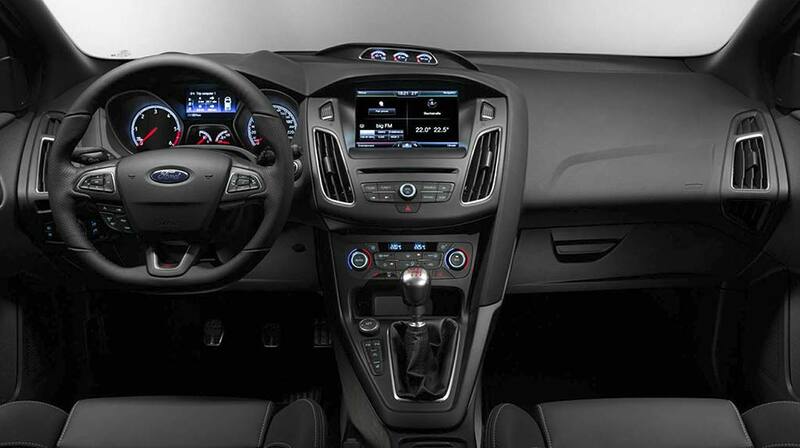 The Blue Oval then took another risk and offered the popular Ford Focus ST and Focus RS with a manual transmission as standard equipment—in fact, the only transmission available! The same is true with the Ford Mustang Shelby GT350 (which uses a TREMEC transmission), Chevrolet Camaro Z/28 (also a TREMEC transmission), Porsche Cayman GT4, Porsche Boxter Spyder, Dodge Viper (#TREMECequipped) and Ford Fiesta ST. This renewed enthusiasm for the third pedal is spanning age groups, from older buyers, who fondly remember the joys of being able to buy a manual transmission in just about anything, to younger buyers, looking to find vehicles that stir their performance passions and desires when climbing behind the wheel. Yes, friends, interest in manual transmissions is definitely on the rise! And TREMEC is proud to be part of this rediscovery and help bring driving enthusiasm back to dealer lots, racetracks and driveways across America and Europe! You may also like our article, 10 Reasons a Manual Transmission is Better than an Automatic.